Toys for children trigger their imagination and encourage them to explore. Young children need these toys to help them with motor skills as well as hand eye coordination. As children grow older toys still play an important part in their development as well as their entertainment. What type of toys do children like? Toys are a personal preference and will be age dependant too. Young children benefit from educational toys, such as building blocks, puzzles and shapes helping them learn to walk, talk, socialize, acquire knowledge, grow emotionally and develop social and spatial awareness skills. While older children will be interested in toys that keep them entertained, such as bikes, balls, board games and books. Duplos or Lego: These can keep children entertained for hours. Duplo is great for younger kids as it is bigger and easier to handle. While Lego is the choice for creative children over 5. Balls: Any ball will do – a tennis ball, soccer ball or rugby ball. Kids can kick, throw, catch by themselves or with friends. Bikes: From about 18 months most kids love bikes- for the young toddler a simple push bike will have them whizzing around the house and garden. From about the age of 5 kids should be able to ride a pedal bike well – just remember the helmet. Puzzles: the best thing about puzzles is that they are great for all ages, even adults enjoy puzzles. Simple 4 - 12 piece puzzles are great for toddlers. For older children the sky is the limit with a vast array of puzzles available from 100-piece puzzles up to 2000 pieces or more. Toys for the pool: For the South African climate a range of pool toys are a must for children. Pool noodles, toy boats, inflatable chairs, water guns and sinking fish are just some of the popular toys for kids. Where are the best children’s toy shops? There are several big toy shop chains at major shopping centres that stock a wide range of children’s toys. 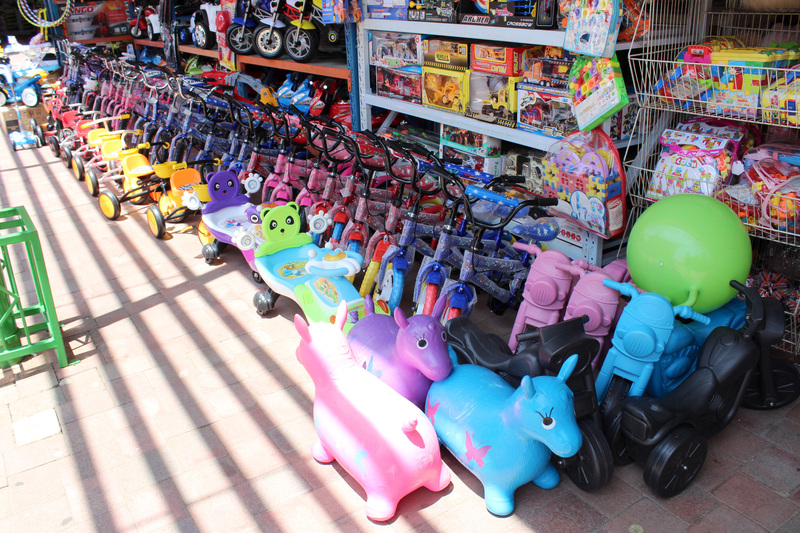 Locally in Pretoria, there are a few toy shops at Montana Family Market that offer some diverse toys. These toy shops offer some fantastic toys at affordable prices - puzzles, books, cars, bikes, dolls, cuddly toys right up to sophisticated educational toys. The most important part of parenting is to provide one's child with fun and exciting ways to learn about the world around them. You can get all your baby accessories and educational toys at this fantastic store. When entering the store, you will be greeted with enthusiasm and will be helped to find the perfect toy for your little one. Aliya's Toy Shop as everything that you could want to set your child's imagination on fire. A store filled with balls, dolls, teddy bears, and bikes, E15 is a child’s dream. 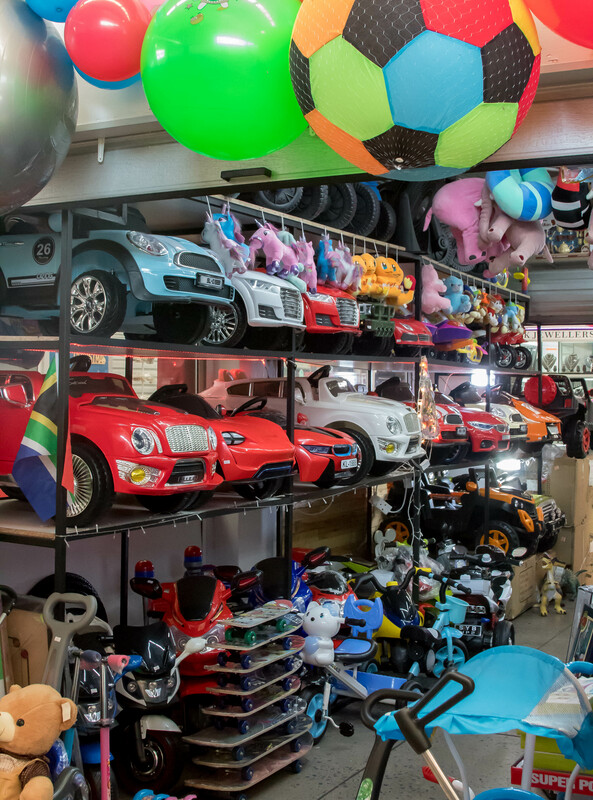 Whether it’s an outdoor toy like a bike, scooter, or swing or an indoor toy like a doll house or a stuffed animal, this store has it all and no matter what, your kid’s going to love it. Do your children absolutely love Frozen, the movie? Make his or her day with one of the Frozen dolls sold at Kamal Toy and Hobby. For adventurous children, a skateboard or drum set may be much more exciting. Or even get yourself a ‘toy’ to play with by buying one of the drones sold here. Have your kid ride around in style in an electric car from Total Toys. 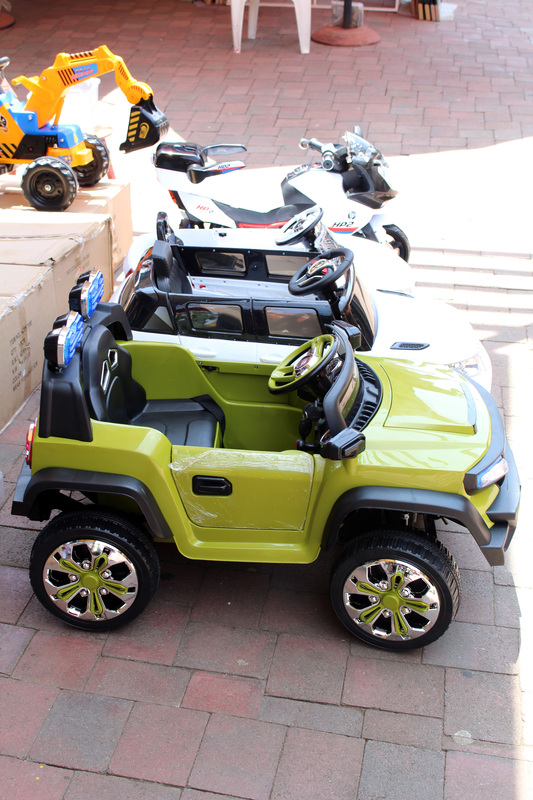 Big enough for young children, these cars (and motorcycles) are fun for all and come in a variety of colours and types. For those a bit older and bigger, look through the different bikes that are for sale. Then browse inside through the various types of toys sold. Any boy with a love of racing will enjoy one of this shop’s remote-control cars which come in different models and colours. And for the girls, there are different beauty and hair sets. If you’re looking for something suitable for boys or girls, they have stuffed animals, balls and even an electric keyboard. If you’re looking to buy something for your granddaughter, Ali's Toys has a variety of dolls and doll houses. But the boys aren’t left out either, with stuffed animals, board games and remote-control vehicles – there’s something for everyone. Whether it’s dolls or action figures, you can get both at this toy store. Let your kid’s imagination soar with a little help from a new doll. There are endless adventures that the two of them can have together. Even if you’re looking for something for a younger age group, this store can provide the right toy for you.